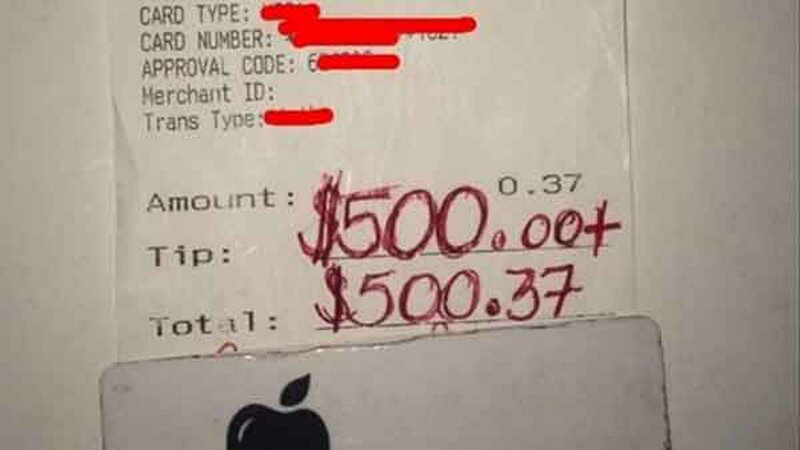 LITTLE ELM, Texas -- A Texas waiter saw his kindness towards a grieving widow come back to him when he received a whopping $500 tip on a bill totaling less than a dollar. 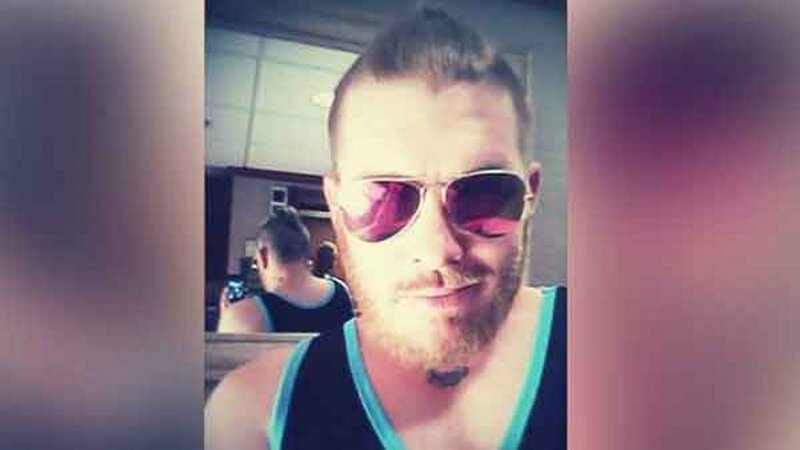 Kasey Simmons, 32, told ABC News he was working the dinner shift at an Applebee's restaurant in his hometown of Little Elm last Tuesday when a patron left the 135,000 percent tip on his table. Earlier that day, Simmons said he had paid a $17 grocery bill for a woman "who looked like she had been crying" at a nearby Kroger. He handed her his Applebee's business card before heading to work, he said. Simmons said that night was particularly busy, so he told a customer he was seating that it would be about 45 minutes before he could wait on her and her family. He offered to buy their drinks, which was all they ordered. When they insisted on paying the bill so they could leave a tip, Simmons dropped off a $0.65 check for a flavored water, the cheapest item on the menu. 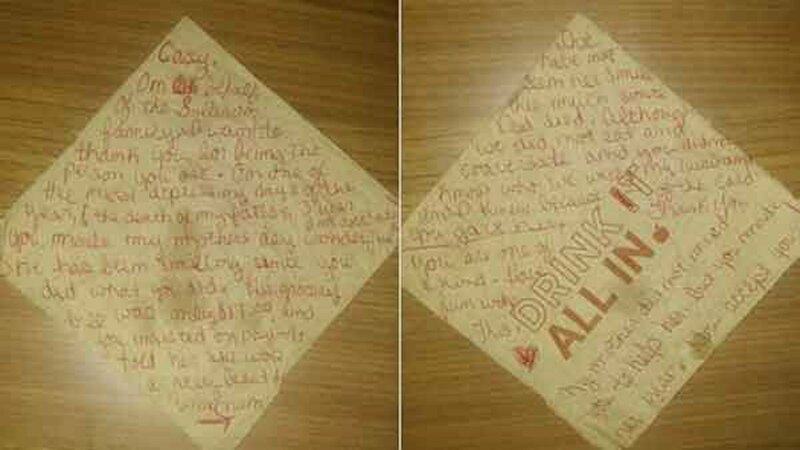 To his surprise, the woman asked to split the check between two credit cards. Thinking it was a test, Simmons divided the check, placing $0.37 on one receipt. The woman left Simmons $500 on that one, making a grand total of $500.37. They group left him a note that read, in part: "On behalf of the Sullivan family, I want to thank you for being the person you are. On one of the most depressing days of the year, (the death of my father's 3 year anniversary) you made my mother's day wonderful. She has been smiling since you did what you did."